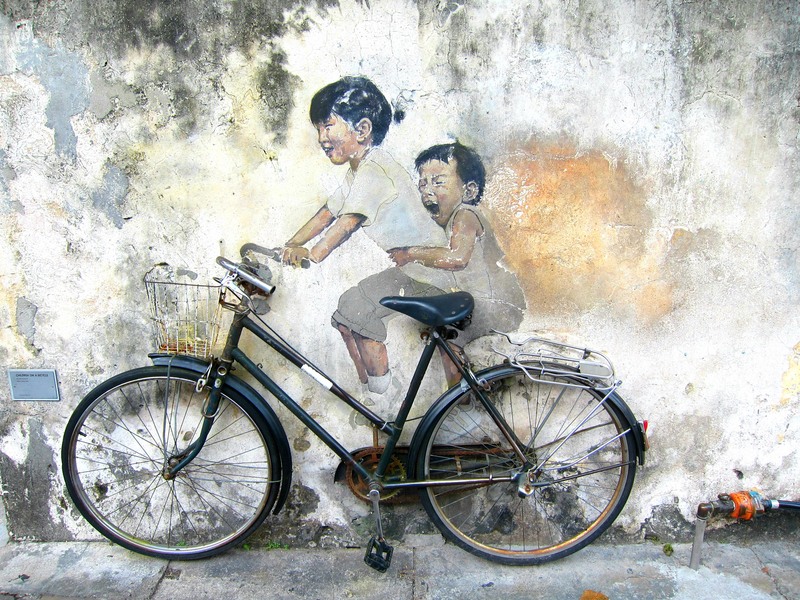 “Kids on a Bicycle,” created by Lithuanian artist Ernest Zacharevic in 2012, is one of the more popular wall murals in the UNESCO site of George Town, Penang, Malaysia. Like many of the wall murals commissioned throughout George Town, the art integrates the local culture with real-world objects. What struck me about this particular wall mural is that it truly encapsulates the essence of the local heritage and culture: a blend of the past and present, modern-style graffiti integrated with traditional architecture, a mix of Chinese, Malay and Indian influence with colonial British, as well as the cheerfulness and friendliness of the local people captured in the smiling faces of the two children. Rhory Gillies is a consulting archaeologist who has worked in cultural resource management for the past six years throughout British Columbia and the United Kingdom. He attended Simon Fraser University and graduated from their archaeology program in 2012. Later, he moved to England where he attended the University of York and completed his MA in Landscape Archaeology. He currently lives in the Okanagan, B.C., working as an archaeologist for Ursus Heritage Consulting Ltd. Rhory is passionate about adventure and travel and enjoys experiencing different cultures through their food, music and art, architecture and history. Prior to his studies and throughout his career in archaeology, Rhory has spent many years living and travelling overseas, exploring Europe, North Africa, South America, North America, Southeast Asia and New Zealand.